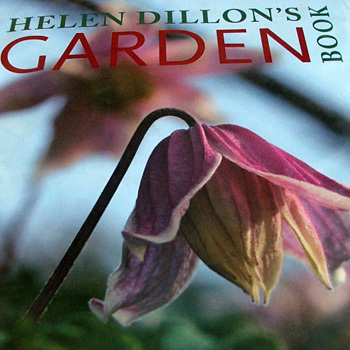 No paving stone is left unturned, no down-to-earth question unanswered in Helen Dillon's Garden Book, written in 2006. It's packed full of every 'this and that' of gardening. Information, ideas, and memories squash snugly together like plants in a mixed border. And the author's favourites provide good horticultural company. The small, stand-alone chapters cover the field - chatty topics include Helen Dillon's early gardening mistakes, the behaviour of naughty garden visitors, and her latest garden developments. Plants, too get their own pages - tulips, top ten trees, silver leaved plants are but a few - and she has good advice on garden maintenance. Her comments about my favourite New Zealand native plants interested me - first she fell madly in love, then found that in the 'low winter Irish light.... coloured Phormiums gave too much of a jolt', and that red Cordylines looked 'too tropical'.